Igor V. Minin is a full Professor in the Department of metrology and certification at the Siberian Geodesial Academy, Russia. From 1982 to 200I, he was Chief Research Scientist at the Institute of Applied Physics, Novosibirsk, Russia. Dr. Minin received a BA in Physics from the Novosibirsk State University, a PhD in Physics from Leningrad Electro-Technical University in 1986, and a Doctor of science from NSTU in 2002. Dr. M inin has over twenty years of international industrial and academic experience, and has played key roles in a number of projects, including three-dimensional millimeter-wave real-time imaging and antiterrorism applications. He is the author or coauthor of approximately 350 research articles, seven monographers (including DijJractive Optics of Millimeter Waves (lOP Publisher, 2004) and Basic Principles of Fresnel Antenna Arrays (Springer, 2008», and has been awarded 24 patents and inventions. He is the author of several books and book chapters in technical publications. He has been the editor of several books, including Microwave and Millimeter Wave Technologies Modern UWB Antennas and Equipment (IN-TECH, 201 0) and Microwave and Millimeter Wave Technologies from Photonic Bandgap Devices to Antenna and Applications (IN-TECH, 20 1 0). 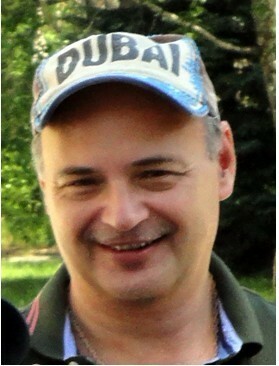 Dr. Minin's research interests are in the areas of diflTactive optics and antenna theory (including explosive plasma antennas), millimeter-wave and THz photonics and nanophotonics, information security, detection of hidden weapons as well as development of antiterrorism devices, calculation experiment technologies, and explosive physics. He is a member of SPIE, COST-284, and COST­c0603. Prof. Minin has been an invited lecturer at several international universities and institutions, among them the IEEE Singapore EMCS Chapter, and has served on a number of national and international conference committees. For his work, Dr. Minin was awarded the Commendation for Excellence in Technical Communications (LaserFocus World, 2003), and commendation by the Minister of Defense of Russia, 2000. Dr. Minin was included in Marques Who 's Who in Science and Engineering.